“Stay here. Play everywhere.” It’s the slogan for Montrose, Colorado, a rural community of 20,000 citizens ideally nestled between national forests, rugged mountains, and winding rivers. The City of Montrose, situated within the County of the same name, has the distinct advantage of being near some of Colorado’s premier recreational areas and attractions, making it an ideal place to live, and visit, for all sorts of outdoor enthusiasts. While building its place as a favorite tourism destination, Montrose is leveraging its popularity with transient visitors to encourage permanent residency. With an ideal location that offers its citizens a high-quality life, the administrative leadership in Montrose has implemented a blended marketing strategy that aims to build tourism, attract permanent residents, and even convert temporary visitors into full-time citizens. To accomplish this multi-faceted strategy, the administrators at Montrose knew they would need an online presence that could effectively speak to each separate audience, and connect the two messages when necessary. 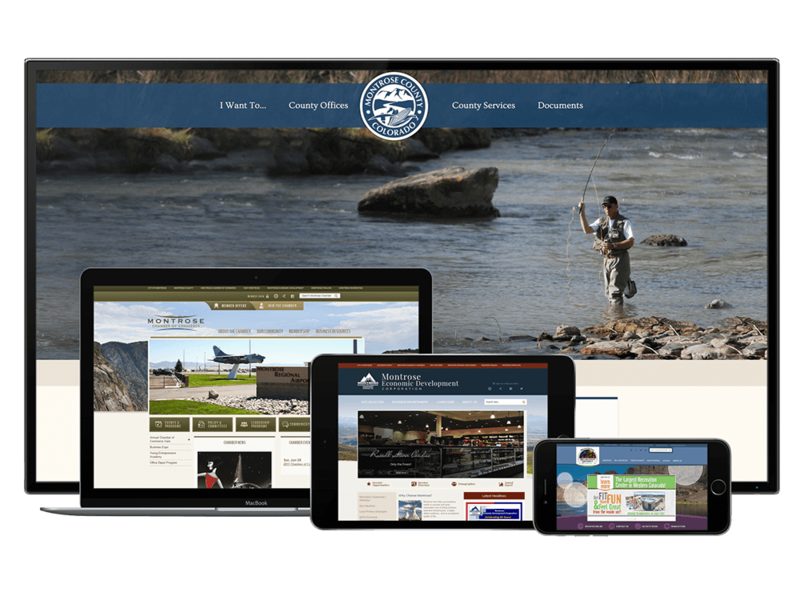 To do so, it needed a powerful local government content management system (CMS) that would give it the flexibility to create and manage distinct, but related websites for all its municipal communication needs. Before partnering with CivicPlus, the City of Montrose, Colorado’s local government website was self-hosted, using an open-source platform. The cumbersome CMS was difficult to manage and time-consuming to update internally. The website’s capacity to serve as a timely and effective citizen engagement and communication tool was restricted by limitations in the platform’s core features and capabilities. Like many municipalities, the administrative team in Montrose, Colorado is organized into collaborative departments, each of which manages a distinct aspect of the community’s development and civic engagement. Its previous CMS, which was reliant upon a single workflow for updates, meant bottlenecks and delays. The leadership at Montrose knew they needed a CMS that would allow each department to autonomously manage its own content, but keep the branding and formatting of that message consistent for an optimal user experience. Spear and his team knew that transitioning the city’s civic website from an internally-hosted, open-source website to an externally-hosted, robust CMS would require a thorough implementation. In 2008, the year it launched its new City of Montrose CivicEngage website, The City of Montrose, Colorado was awarded with the Pinnacle Award for Excellence in the category of City/County Small Populations. In addition, the City of Montrose won a Silver Circle Award from the City-County Communications & Marketing Association (3CMA), and would go on to earn a Public Technology Institute (PTI) award for its Montrose Community Portal. Since then, Montrose has continued to maximize the CivicEngage CMS to help it meet its bifurcated, resident/tourist marketing strategy. After the successful implementation of the website for the City of Montrose, Spear and his team had an idea to further leverage the CivicEngage CMS to help them accomplish their marketing goals. “We had good success with the roll-out of our city website, and that became a door to offering the same advantages to community partners. That is how the community portal concept started,” said Spear. 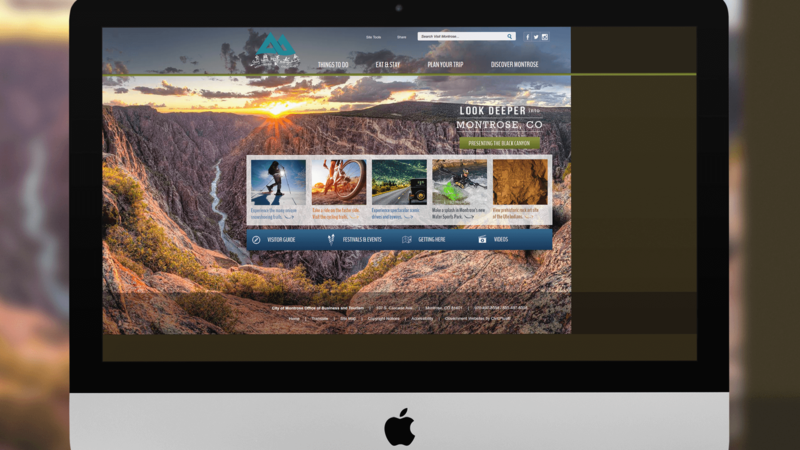 “Our team at CivicPlus worked with us to entice other community partners to work with us to build the portal concept.” Today, Montrose, Colorado manages eight separate and distinct community portal websites, all hosted together using the same CivicEngage CMS. The sites include: the City of Montrose, Montrose County, the Montrose Chamber of Commerce, Visit Montrose, the Montrose Economic Development Corporation, the Montrose Pavilion Event Center, the Downtown Development Authority, and the Montrose Recreation District. Each portal website includes links to the other seven above the top navigation, making it easy for visitors to not only find the information they are looking for, but to realize how much their community has to offer. What made this successful design strategy possible was the ability to host each on the CivicEngage CMS. According to Spear, Montrose’s portal approach has been well-received by citizens and visitors in the community. The team in Montrose is continually looking for innovative ways to further its multifaceted marketing strategy using the tools available to it within the CivicEngage CMS. As Spear and his team in Montrose look to the future of their digital properties, they know that they can rely on the team at CivicPlus to continue to evolve their solutions to meet Montrose’s changing needs. CivicPlus is the integrated technology platform for local government, working with over 2,500 local governments including states, municipalities, townships, and counties. CivicPlus has been selected by Inc. Magazine as “One of the Fastest-Growing Privately Held Companies in the U.S.” since 2011. For more information, related to CivicEngage, CivicHR, and CivicReady, visit CivicPlus.com.